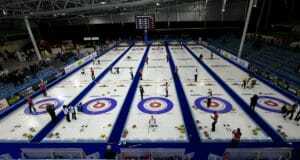 Team World, which hasn’t won this global curling battle involving the world’s best teams since 2012, slid out of the hacks with authority, grabbing the first three points available in the four-day event at the Orleans Arena in Las Vegas, NV. It’s still early days, and the rewards were rather meagre in the standings, but Team World will take the three points as a huge incentive as they take a run at chipping away at the brick wall that has become Team North America in the past few years. It takes 30.5 points to win the competition, which involved several different disciplines, but it’s a good start for Team World. 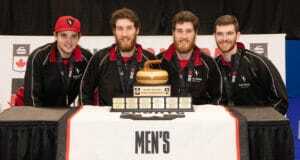 “We talked about coming out strong, trying to silence the crowd a little bit,” said David Murdoch, captain of Team World. “Every one of our teams came out strong today and that was phenomenal. It’s not often you get a clean sweep against such a strong team as North America. Team North America threw a lot of ammunition at its opponents in the first draw, including heavyweights Kevin Koe (Calgary) and Rachel Homan (Ottawa), who have been having terrific seasons. 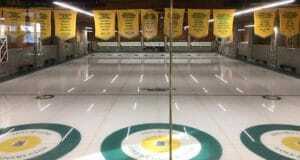 But Team World was up to the task in the two-person format, the newest discipline for curling at the Olympics. Team World’s Jennifer Dodds and Bruce Mouat of Scotland crushed Koe and Homan 12-3 in a bizarre game that saw the Europeans crack a six-ender in the opening end and stretch the lead to 8-1 after three ends. Dodds said her team was never on cruise control despite the quick lead. Koe admitted he had a miserable performance. He said his struggles weren’t helped by a slight injury. 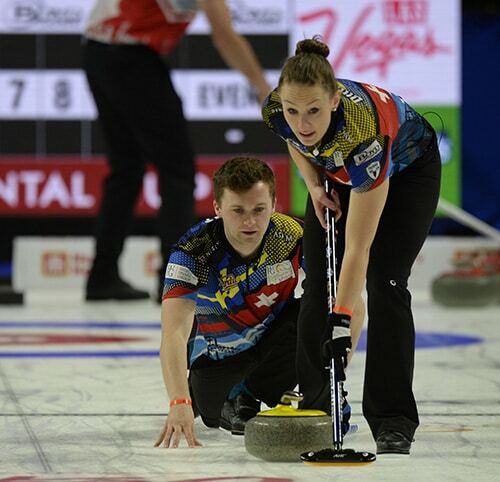 In the other openers, Team World’s Vicki Chalmers and Hammy McMillan of Scotland cruised to a 9-3 victory over Team North America’s Jocelyn Peterman (Winnipeg) and Brett Gallant (St. John’s, N.L. ), and Ester Neuenschwander of Switzerland made a superb raise takeout with her final rock in the eighth to score three and propel her and Team World teammate Peter de Cruz (Switzerland) to a 10-7 victory over Lisa Weagle (Ottawa) and Brad Gushue (St. John’s) of Team North America. Weagle and Gushue battled back from a 7-3 deficit after four ends to knot the game at 7-7 heading into the final end. The 2019 World Financial Group Continental Cup continues with draws today at 1:30 p.m. and 6:30 p.m. (all times PST).